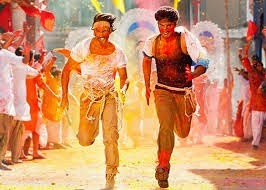 Mumbai: The sepia-toned teaser of ‘Gunday’ takes the viewers into the life of two boys Vikram and Bala, victims of the 1971 Bangladesh war of liberation. With no home, no family, the two are left to fend for themselves and their journey can’t be called easy, but interesting – from refugees to gun couriers to coal bandits to Calcutta’s most loved, reckless and fearless powerful ‘gunday’. Both Arjun Kapoor and Ranveer Singh look apt for the role in the film set in the 1970s. The entire story of the film will be unfolded when it will hit the screens February 14, next year. As the film is coming out on Valentine’s Day, so apart from action and drama, it is likely to offer a good dose of romance with Priyanka Chopra in the cast as the lead actress. The project has been helmed by Ali Abbas Zafar, while Aditya Chopra has produced it under his banner Yash Raj Films.